The University of California – San Diego appears in our ranking of the Top 50 Master’s in Computer Science Degree Programs. The Jacobs School of Engineering at the University of California – San Diego offers both computer science and engineering degree programs. Undergrads can get a Bachelor of Science in Computer Science or Computer Engineering. The computer science program also has a concentration in bioinformatics, though students can enroll in the general program too. All students receive worksheets that list their required classes and the electives they can take that relate to computer science. All computer science undergrads take some of the same courses, including Introduction to Computer Science, Introduction to Discrete Mathematics, and Mathematics, Algorithms and Systems Analysis. The university offers different advanced courses that look at issues relating to both computer engineering and science. Those classes include Introduction to Artificial Intelligence, Introduction to Modern Cryptography, Principles of Computer Operating Systems, Project Computer Architecture and Software Engineering. At the graduate level, the University of California – San Diego offers three programs. The first is a combined program that allows undergrads to work on a Bachelor of Science and a Master of Science in Computer Science or a similar field. Students usually take three years of undergrad courses and then two years of graduate computer science classes, though they can also take classes from both programs in the same semester. The university’s Master of Science program lets students pick from two tracks. They can either do a thesis to finish the program or take a comprehensive exam. This exam can include questions from all the courses they took. The university recommends the graduate program for students who will enroll in a doctoral computer science program. Graduate computer science courses available from the university include Interaction Design Research, Distributed Computing and Systems, Principles of Computer Architecture, Biomolecular Big Data Systems and Topics in Search and Reasoning. Also available is a doctoral computer science program, which includes 37 credits of required classes and electives at or above the graduate level. Students do not need to select an emphasis area, but they have the option of picking a specialty such as robotics, database systems or human and computer interaction. They will also take an exam and do a dissertation. The University of California – San Diego requires that doctoral students work as teaching assistants too. 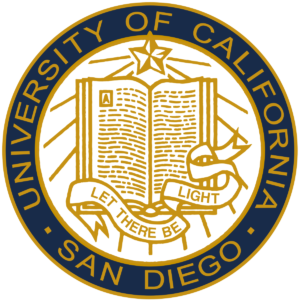 The University of California – San Diego is a large public university in San Diego, California. Established in 1903 as the Scripps Institute of Oceanography, it would join the University of California (UC) system in 1960. To separate itself from the other campuses in that system, it uses the UCSD name. Some also call the university UC San Diego. Though Washington Monthly ranked UCSD as the seventh-best university in the United States, it ranks within the top 50 of American colleges on the lists released by U.S. News and World Report, Times and ARWU. USNWR also ranks its computer science programs as the best in the world and the nation. All of the engineering and computer science programs offered by UCSD have program accreditation from the Accreditation Board for Engineering and Technology (ABET). Every school in the UC system has regional accreditation from the Western Association of Schools and Colleges (WASC) too. UCSD students can transfer their credits to other schools across the country and apply for financial aid thanks to this accreditation. UCSD is very selective with who it admits into its computer science programs. More than 4,000 students apply for just a few spots in the university’s graduate and doctoral programs each year. It looks for students with a strong background in engineering and computer science at the undergrad level and students who have a minimum GPA of 3.0. Students will need to take the GRE and submit their official scores and provide a completed application. The university allows students to enter the doctoral program without first obtaining a master’s degree, but those students must meet the same requirements that anyone applying to the graduate program does. Students also need to meet some requirements when applying to the undergrad computer science program. The average incoming freshman has a weighted GPA of 4.13 and a score of 1970 on the SAT or 31 on the ACT. Students can apply between the beginning of August and the middle of December. UCSD recommends that they file the FAFSA by March second and will announce its decisions at the end of the month. Students have until May first to accept their offers and July first to submit their final official transcripts. The main requirements for incoming undergrads include a college prep background, a GPA of 3.0 for California residents and 3.4 for nonresidents, high school transcripts and an official score from the ACT or SAT. The estimated cost of attendance at UCSD for undergrads is $25,311 for California residents and $54,303 for nonresidents. California residents pay $14,429 for tuition, while nonresidents pay an extra $28,992 each year. Undergrads also pay $14,300 per year for room and board. The university charges a room and board fee on top of the tuition and general fees that students pay. Graduate students pay $5,669 per semester or more than $17,000 a year for fees and tuition if they also live in California. All nonresident grad students pay $10,703 per semester. Graduate students who need financial aid and use the FAFSA can borrow money in the form of an unsubsidized student loan or a PLUS loan. They can reduce the amount they owe later with payments that they make on their loans’ interest while in school. Grad students can also work as teaching assistants. Though they need to apply for these positions, they can make more than $2,000 a month when they agree to work 20 hours a week. There are also other awards, including scholarships and fellowships that provide graduate students with financial help. Undergrads who need financial aid can also use the FAFSA. In addition to university scholarships, they may get grants, a job working for UCSD or a loan. Computer science majors at the University of California – San Diego can get enough financial aid to cover all the costs of their degree programs.